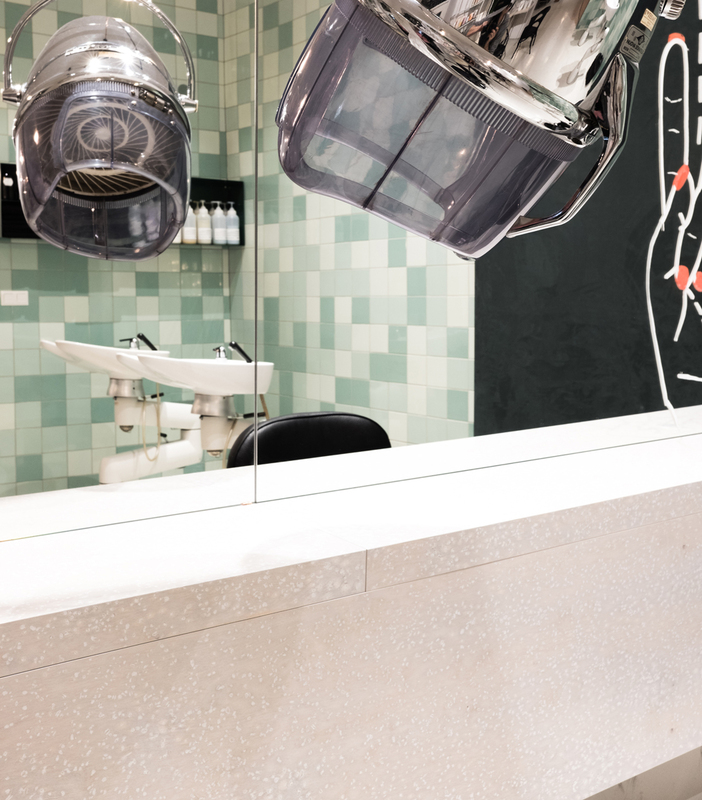 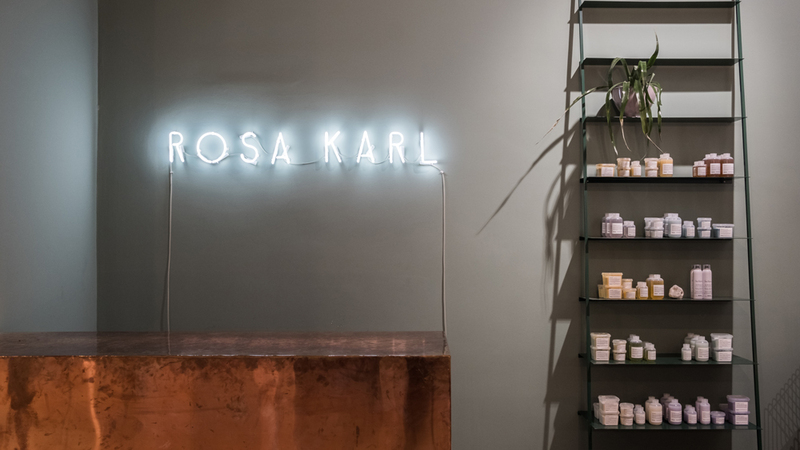 ROSA KARL is a hair and beauty studio in Vienna’s 9th district, a neighborhood in transition where many new interior shops and cafés have opened in recent years. 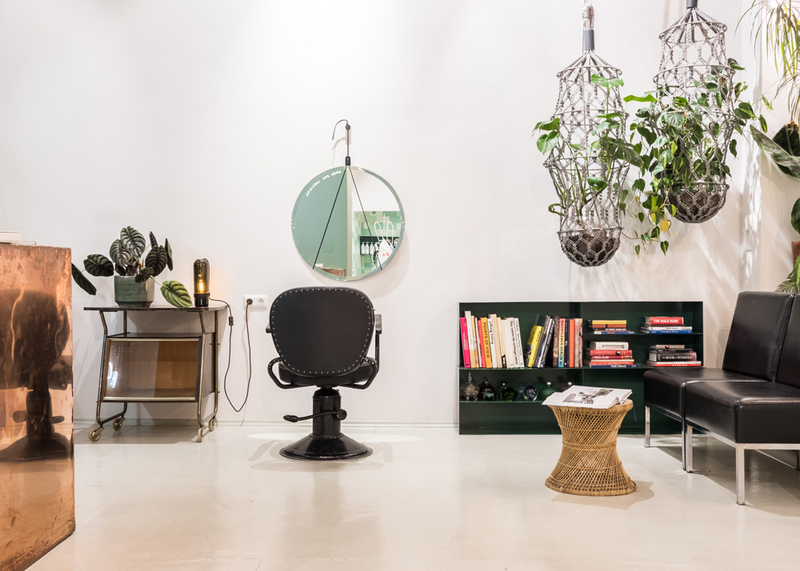 In 2017, the small salon was passed from mother to daughter, who returned from Berlin to take over. 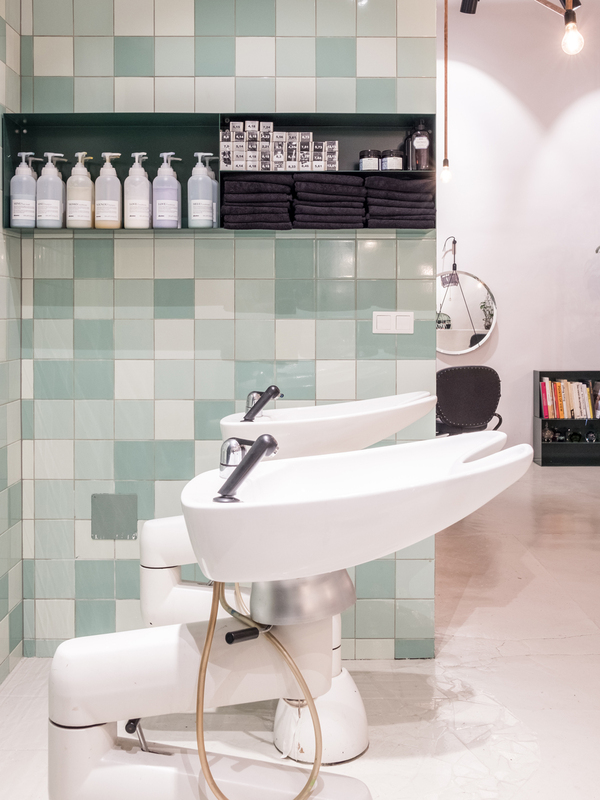 Prior to reopening, the new proprietor worked closely with Ilot Ilov to turn the charmingly outdated shop with its 1980s appeal into an extraordinary modern salon concept. 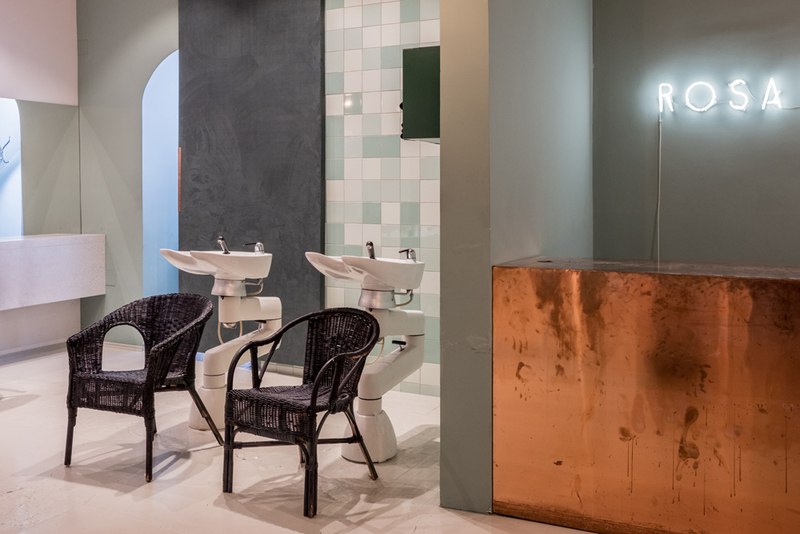 Ilot Ilov concentrated on copper, green, beige, white and black as dominant colours for the furnishings. 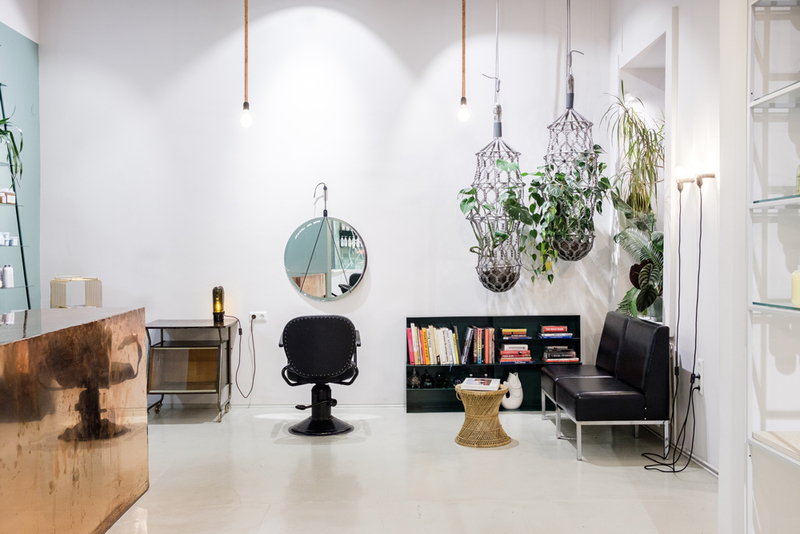 Ladders, plants, and the owner’s mother’s refurbished hairdressing chairs from the 1960s mix up the salon and subtly point towards its centerpiece, the copper counter where interaction happens. 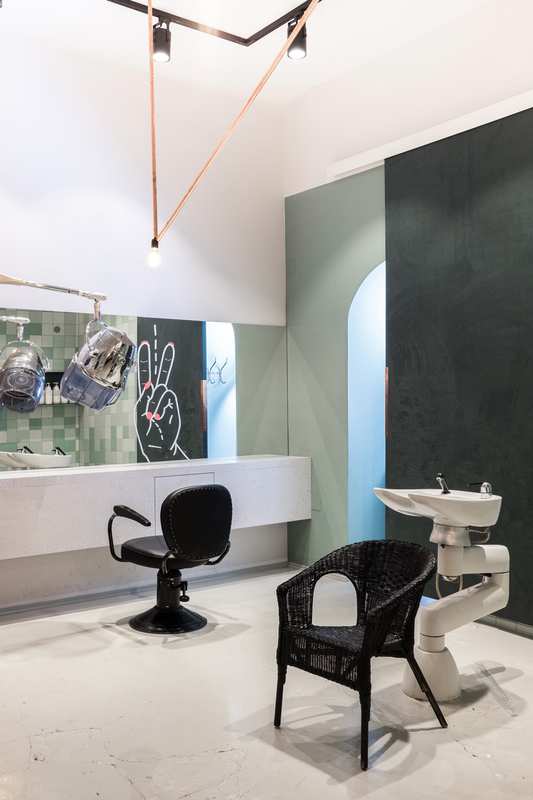 Made from untreated copper, the counter evolves over time and develops a patina emanating from the customers and allowing to trace, as a process, the marks they leave behind. 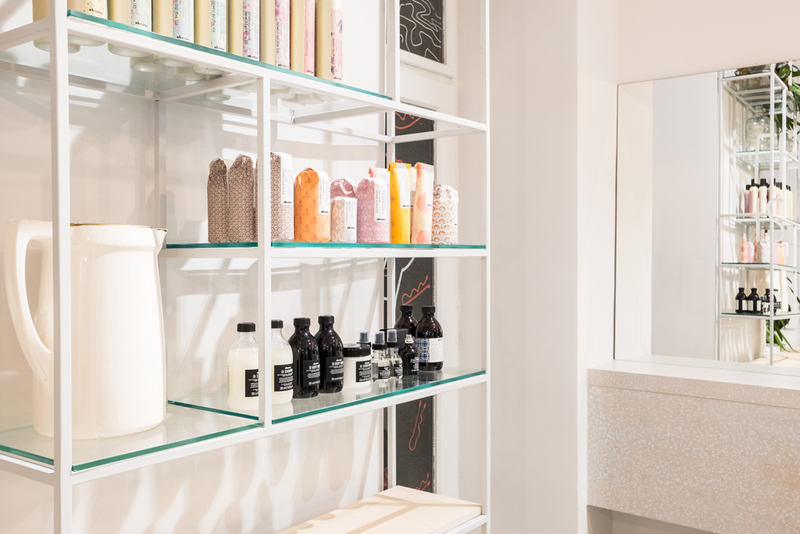 After just one year, the counter has developed character instead of aging poorly. 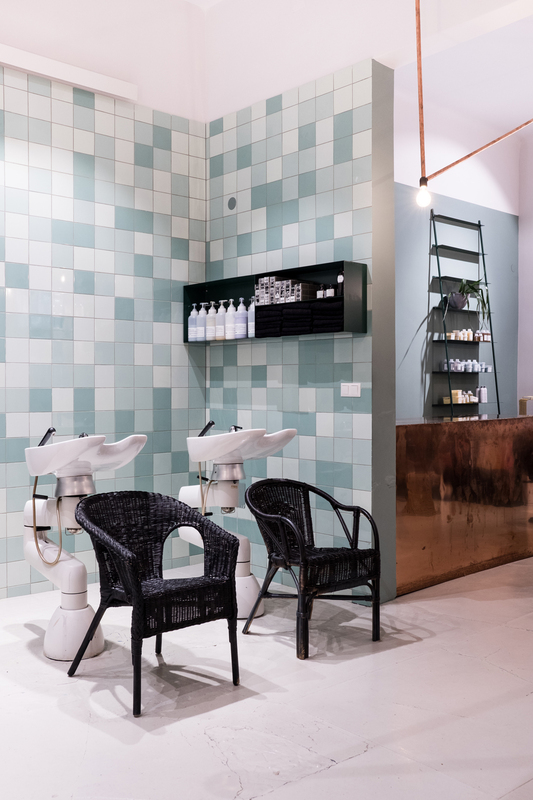 The shade of green used for the wall behind the counter and the tiles evokes jade stone and complements the copper of the counter and the custom-made luminaire installation. 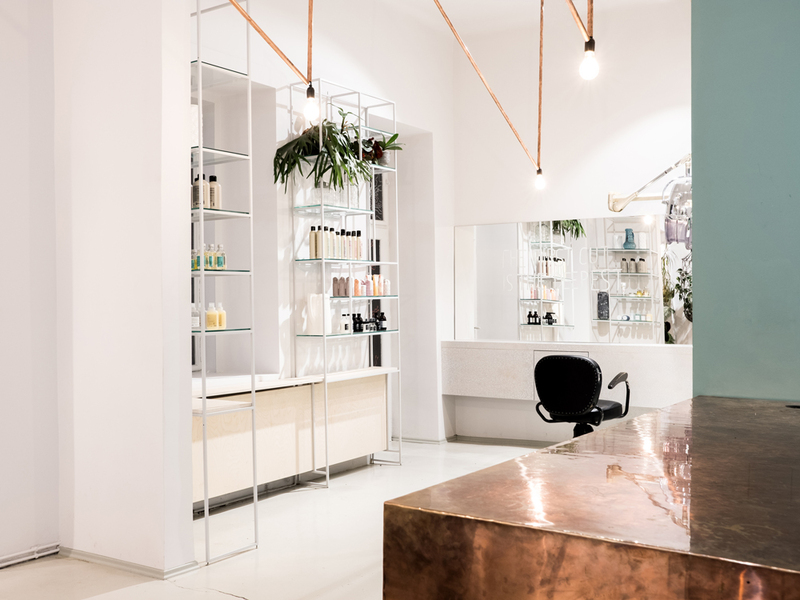 The lamp was manufactured from copper tubing and links the salon’s two rooms with its six parallel triangles. 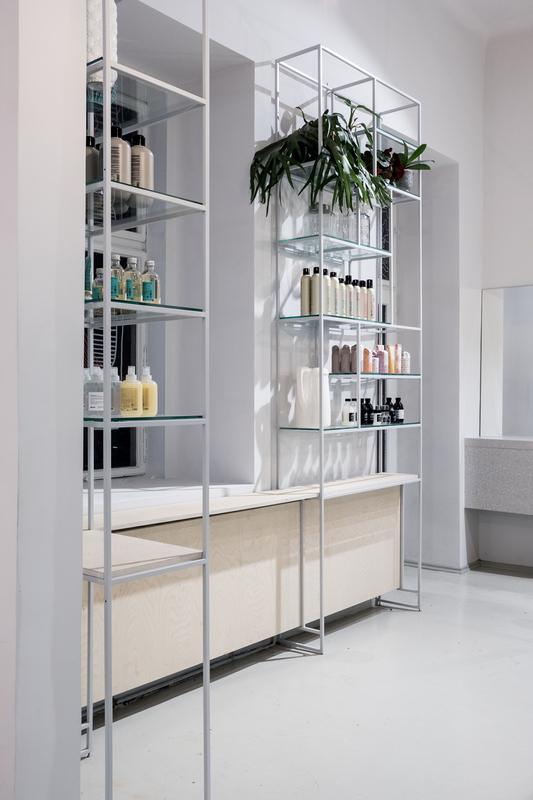 The salon’s sideboard was fashioned with Osis, Ilot Ilov’s special surface finish. 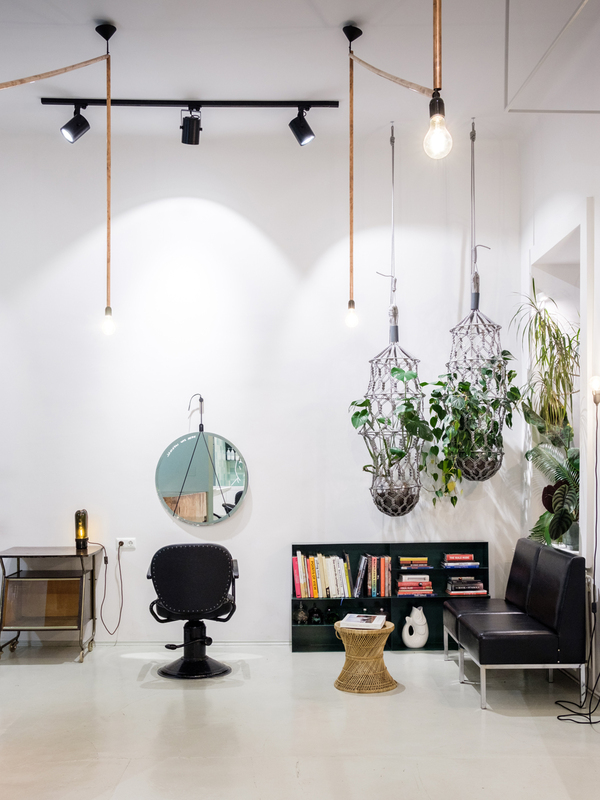 Further products of the interior studio have been used in the salon’s furnishing: mirror holder HANK, flower basket LUCILLE, and lamp holder HOLD. 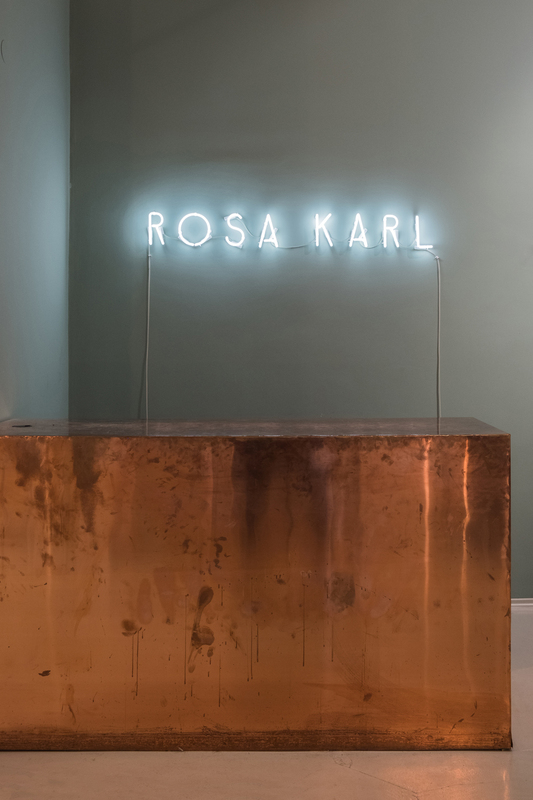 Rosa Karl was booked solid within three months. 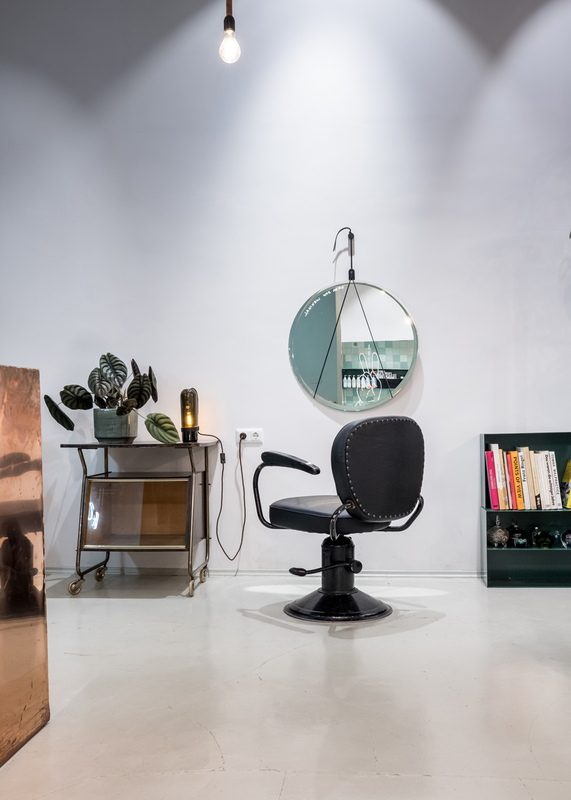 Today, Vienna’s gallerists, artists, and actors not only come to get their hair done; events, exhibitions, and installations also attract the crowds. 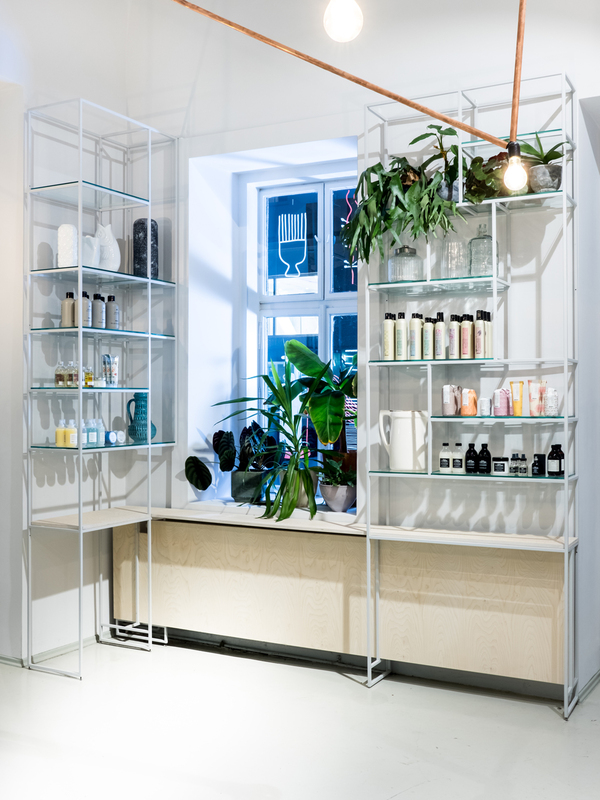 We are glad!